Christmas is coming. I would bet everyone has already baked one batch of Christmas cookies. 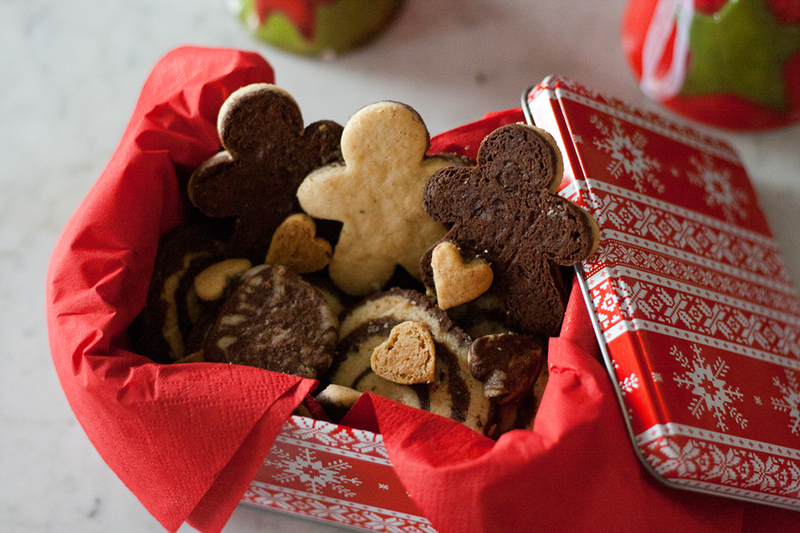 But, you can never have too many cookies. Especially not the good ones. My favs are the vanilla crescents. Even if I’m not the biggest fan of Christmas and December in general, I’m a big fan of the good stuff, (cherry picking obvs): the cookies. Mix flour, almonds, margarine, agave and the vanilla. Use your hands, the mixer won’t get the consistency. I used just a little sweetener because they still get sprinkled with powdered sugar. 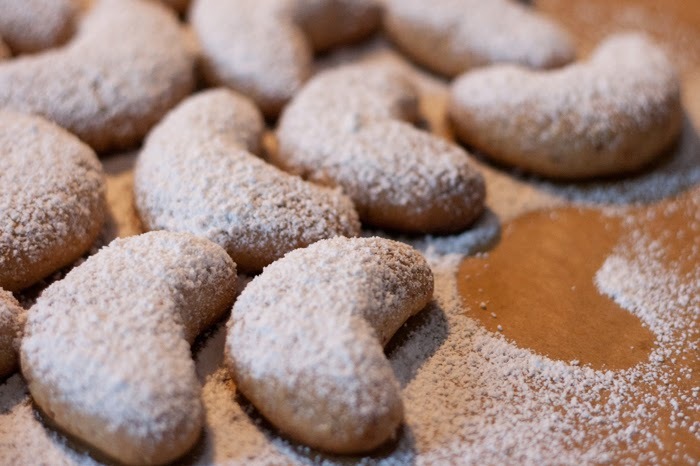 Bring walnut-sized balls in crescents shape and place them on a tray with enough space in between. Bake at 180°C and watch them. Depending on the oven they probably need 10-15 minutes maximum. My first load has been burned. When the ends turn a bit brown they are more than finished. You should remove them including the baking paper immediately, as they burn from below on the hot tray. 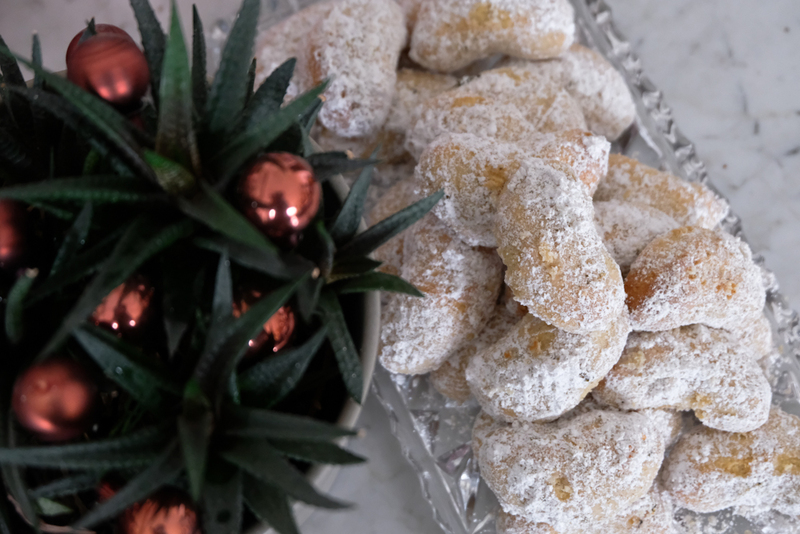 Mix the vanilla pod with your powdered sugar and toss the crescents in it.